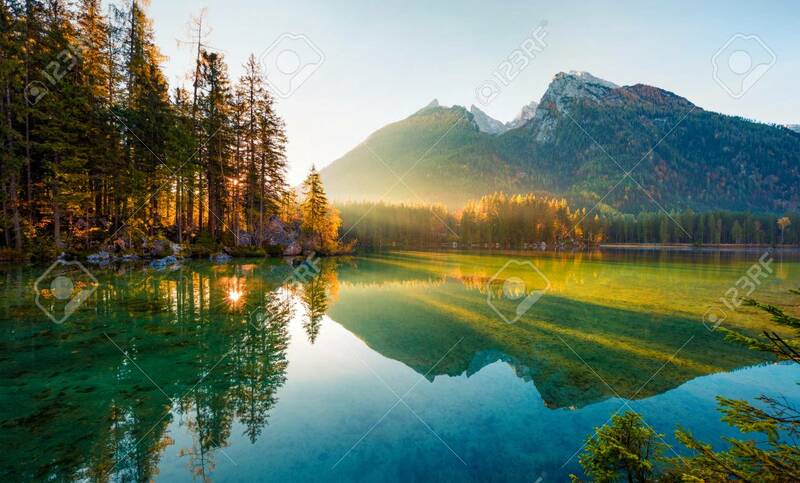 Wonderful Autumn Sunrise Of Hintersee Lake. Amazing Morning View Of Bavarian Alps On The Austrian Border, Germany, Europe. Beauty Of Nature Concept Background. Fotos, Retratos, Imágenes Y Fotografía De Archivo Libres De Derecho. Image 116551637.